In today’s mobile-driven society, consumers have an array of different channels at their fingertips to reach out to businesses and providers. Most people think of these common options: 1-800 number (if you’re desperate), email (if you want to wait) and live chat. 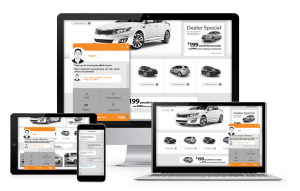 While the automotive industry has adopted live chat in large numbers, still only about half the U.S. dealer market offers the capability to consumers. If we’re being totally honest, most of us probably wish consumers would just put down the mobile phone and come to the showroom, right? Messaging Is Now an Essential: What Does This Mean for Business? Whether a consumer is seeking information about an upcoming car purchase or vehicle service need, he or she will use the communication channel that best suits them in the moment. In a consumer study done by Contact At Once! involving 1,000 recent auto purchasers or near-term intenders, nearly 80% said they’re likely to message (chat or text) during the research and shopping phases. More than two-thirds said they would use messaging to schedule appointments and even to help finalize purchases. So, what’s involved in developing a messaging strategy? It starts with a stop. Stop thinking of the way “Contact Us” has traditionally been done (nope, no one is going to fax) and start thinking about how consumers are communicating right now. As a matter of fact, you’re a consumer: how do your conversations happen most often these days? It probably involves a combination of chat, phone, social and of course, text. And, that’s what car shoppers and purchasers said they do too. In another consumer study we recently did, the majority of consumers said they’d rather chat about an auto-related question when they’re using a computer or a tablet. A little over 40 percent said they’d call if they were on a mobile phone and one-third said they’d text. Do you have a chat platform? Even with a wide variety of other options available, live chat is still one of the most-preferred communication avenues today. In fact, 44% of shoppers noted that one of the most critical features a company can provide is a live chat specialist to help facilitate online purchases. Can consumers easily (and legally) text you? Text messaging is incredibly popular among all age groups today—globally mobile device users send more than 18 million texts every single day, but there are compliance considerations, opt-outs and more that have to be ironed out. Do you have an app? If so, embedding messaging allows consumers and customers to connect with you without ever leaving the app, making it simple for the consumer and improving stickiness for your app. Are you using Facebook Messenger, Facebook Marketplace, Google My Business and Google Adwords? Silly question…of course, you are. And because you are, you should enable messaging in all of them, then funnel the conversations through your chat and text platform. Why is that important? Consistency of message, fast response, tracked/documented conversations and capture of lead information are all critical components of an effective social and search messaging strategy. As you can see, messaging includes a host of platforms and technologies that your customers are currently using. Now, it’s your turn to get in there and start connecting! At Contact At Once! and LivePerson, we call that conversational commerce-engaging with consumers whenever, wherever and however it suits them when they’re in a shopping moment. You’ll find that it increases the number of meaningful interactions you’re having, that consumers actually value the ability to message vs. phone tag or email and you can toss that fax machine. Now, that’s a relief! Previous articleIt’s Not About Volume: Make it happen with what you’ve got! Sr. Director, Marketing, Contact At Once! Therese has extensive experience developing and executing marketing and communications strategies for technology companies, including the launches of multiple early stage software companies and fast-growing SaaS solutions providers. She began working with software companies during the high-growth phase of ERP and supply chain solutions and gained a reputation as a leader in the development of innovative direct marketing strategies. When she's not evangelizing conversational commerce, Therese enjoys spending time with her family and rescuing German shepherds.